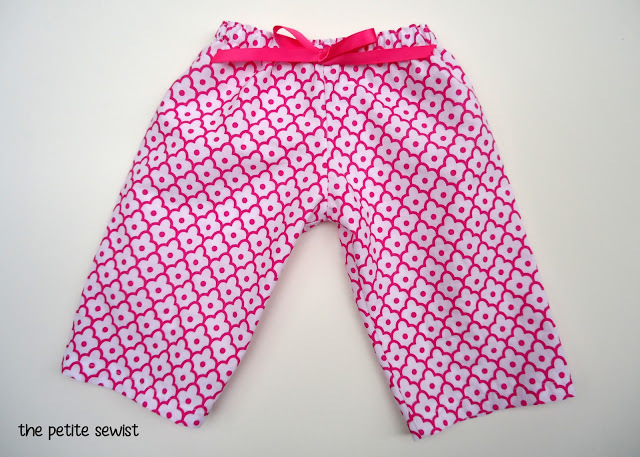 Here are some photos of some newborn baby pants I made for my friend’s baby girl. I love this pink print and the cute bow in the front! 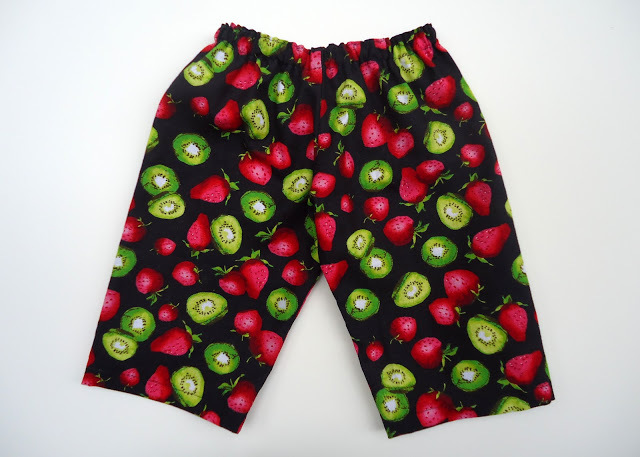 The fruity fabric is left over from an apron I made a few years ago. I used Made by Rae’s Baby Newborn Pant pattern. It is free! 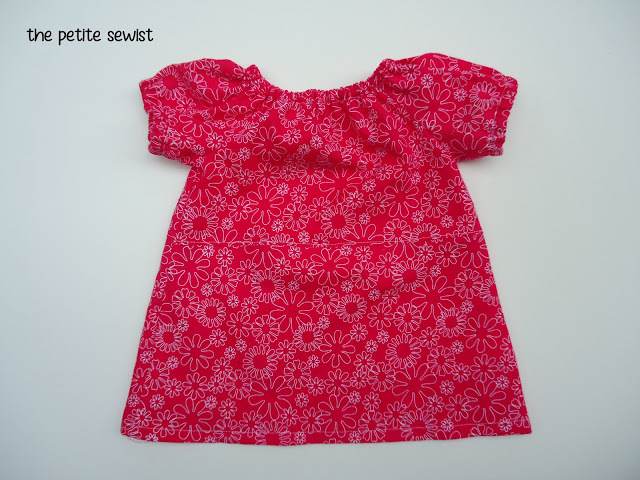 I used Sew Much Ado’s Infant Peasant Dress pattern to make this baby dress. This was also a free pattern and included a tutorial. Do you know of any great baby patterns on the internet? Previous Post: « Diamond Candles Winner!